Prof. Dr. h.c. Guenther W. Amann-Jennson is the founder of Bioenergetic Sleep® and his work as a sleep psychologist, entrepreneur and author is inspired by his desire to help as many people obtain the highest form of physical, mental and spiritual regeneration through sleep as possible. Educated as a psychologist and psychotherapist, Dr. Amann-Jennson holds the American equivalent of a Ph.D. as well as honorary doctorate degrees from European universities. With over 30 years of experience and international training in psychology and medicine, his comprehensive knowledge of the holistic connection between sleep and its multiple interactions with body, mind and soul have been recognized by sleep experts internationally including honorary doctorates in sleep medicine. He is a respected authority on the subjects of sleep, health, life energy and bioenergetics and a true pioneer of the healthy sleep movement. 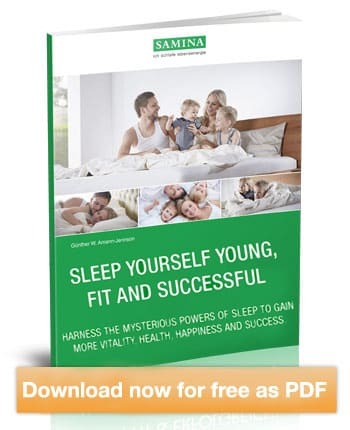 As an entrepreneur, Dr. Amann-Jennson applies his vast knowledge about sleep and the collective body of knowledge from many disciplines and professionals to create a wide range of SAMINA products that support measurable improvement in sleep quality and sleep efficiency. The SAMINA healthy sleep concept establishes sleep as an important foundation for one’s quality of life. His expertise and experience are not limited to SAMINA healthy sleep products. 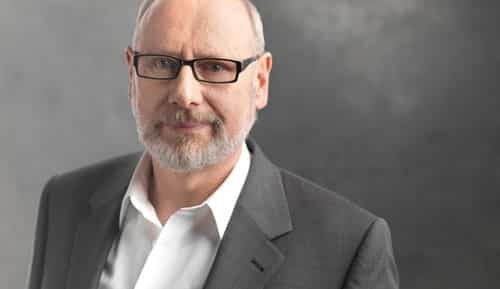 As author of the bestseller “Sleep Well!” And “Sleep to be Young, Fit and Successful,” he openly shares his knowledge and counsel. Currently available in his native German language, the book is being translated into English and his advice will soon be accessible to an even greater audience. Use the secretive power of sleep for more life power, better health, joie de vivre and personal success. This is a sequel to the bestseller, Sleep your way to health. A well-known sleep specialist, Günther W. Amann-Jennson, looks at the human potential that may be unlocked by deep, healthy sleep. Request it for free now! We appreciate your privacy and send you only essential information. Hint: Please check your spam folder. Maybe it is saved there by mistake.